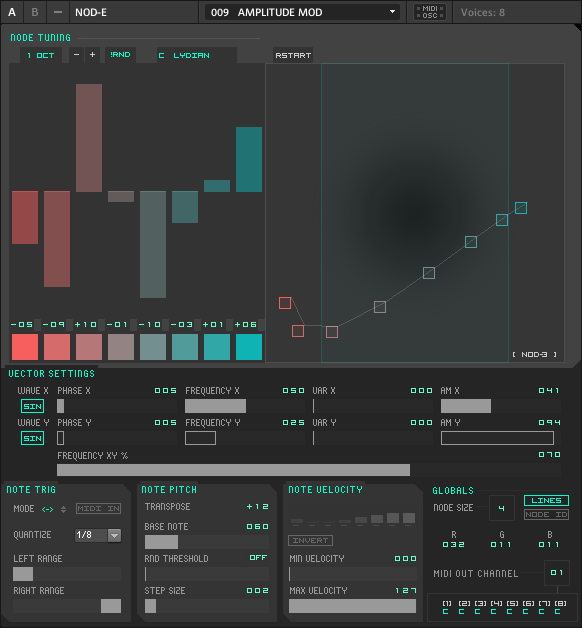 This week at BluewaterVST, Brent Kallmer takes us on a tour of Reaktor FX in Maschine. I really love Maschine for its freeform session view style workflow. 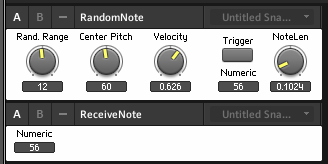 I think it’s the only sequencer / host that gets this right aside from Ableton. Enjoy Brent’s tutorial and check out the rest of his site here. This entry was posted in Uncategorized and tagged Bluewater VST, Brent Kallmer, effects, maschine, Razor, reaktor, tutorial, Video on September 19, 2013 by peterdines. 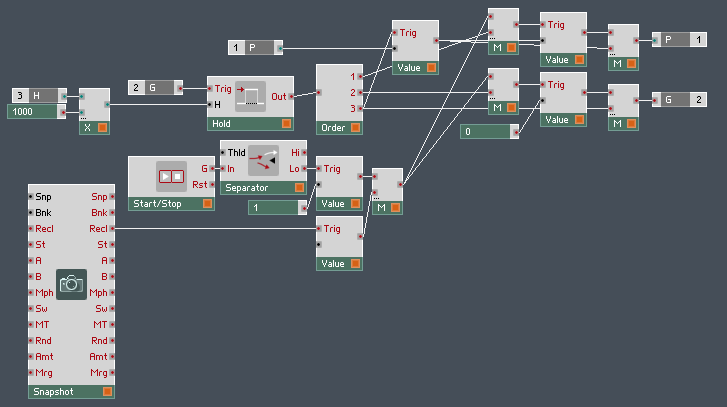 In this video, Brent Kallmer of BluewaterVST takes us through the wonderful NOD-E ensemble by Antonio Blanca, an algorithmic music machine that generates MIDI note data based on the positions of nodes moving on the instrument panel. You might think of NOD-E as the sequencer that you get when the nodes in Spiral reach escape velocity and break out of orbit. In NOD-E, 8 nodes travel around an XY-field and trigger notes when they cross certain boundaries (defined by you). Movement along the X-axis triggers notes; movement along the Y-axis determines the triggered note’s velocity (in other words, a note that is triggered at a high Y-value will play more loudly than one that is triggered at a low value. The nodes are propelled throughout the XY field by two polyphonic LFOs (one for each axis). The cool thing about NOD-E is it can sound like anything – you can route the MIDI data to other plugins, even to hardware synths – or record and edit the sequence in a sequencer. Big ups to Brent for this great video introduction to the ensemble. This entry was posted in download, Ensemble and tagged algorithmic, Antonio Blanca, Bluewater VST, Brent Kallmer, free, Nod-E, reaktor, tutorial, Video on September 13, 2013 by peterdines.